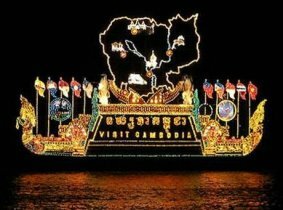 Festival) in Phnom Penh is the most magnificent traditional festival. 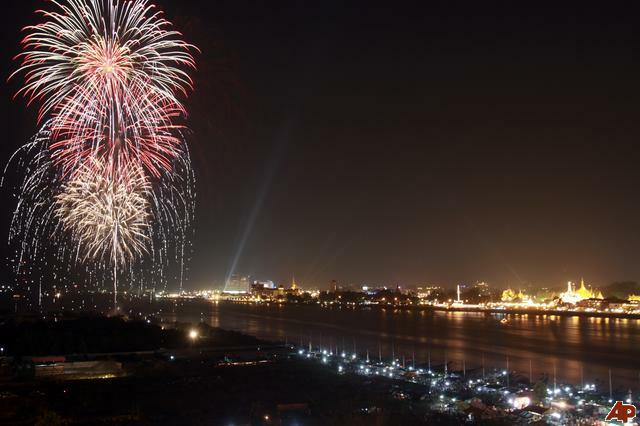 various provinces gather in the capital to celebrate festival night day. year to choose Champion of sailing battle, as in Bayon Temple, Batteay Chhmar in the Preah Bat Jayvarman VII. We had seen a lot of statues about sailing battle under leading of Jayvarman VII. The custom of this is to have from then up to the present. happiness and sufficient rain for rice cultivation. 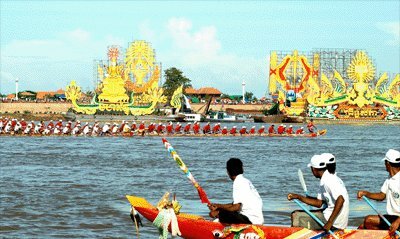 Besides the regatta, the water festival also includes three other ceremonies: Illuminated float (Loy Pratip), Moon salutation (Sampeas Preah Khe) and the eating of pestle new special rice with banana or coconut juice (Ork Ambok). of provinces, taking part in the races, the pirogue and the rowing boat. day must seek donations in order to provide this prize for participants. state institutions, ministries and services. a little time fireworks and multi color were lit to entertain people. the sight of the fireworks.